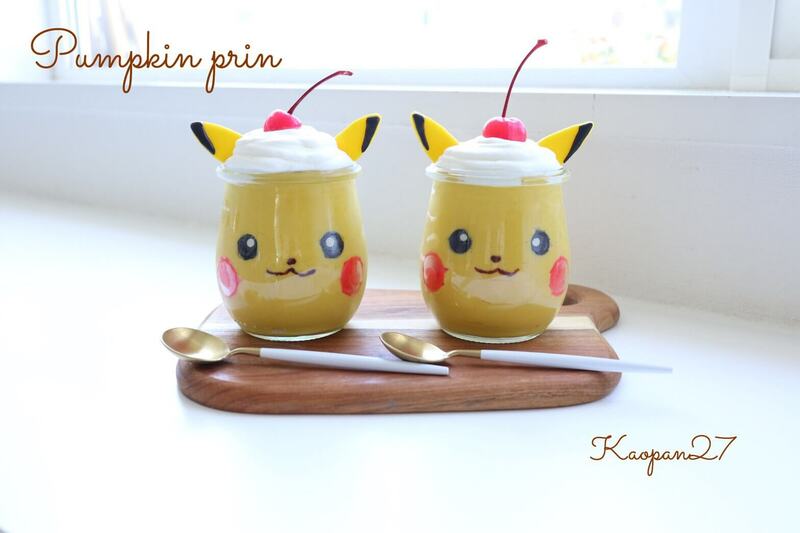 In this recipe you’ll learn how to to easily make a Pikachu Pumpkin Purin using a blender! 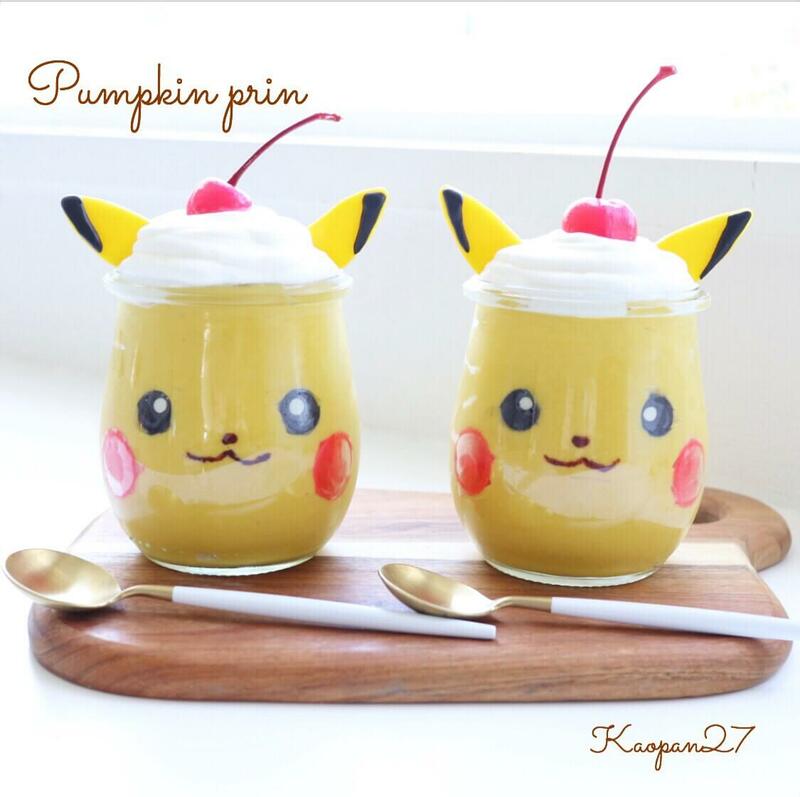 Blend the pumpkin, sugar, milk and fresh cream together. 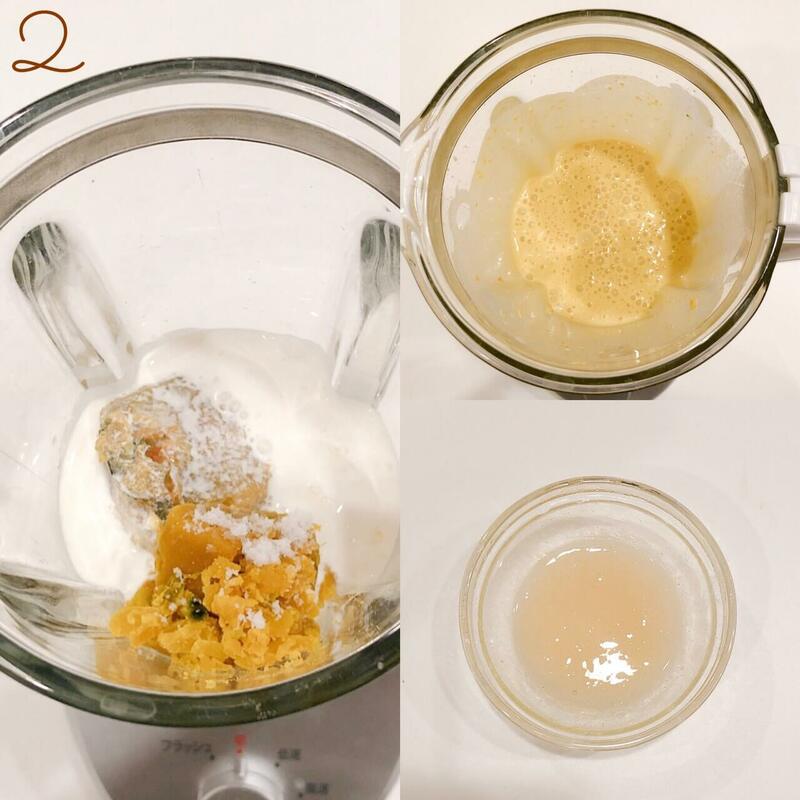 Add the soaked gelatin and blend again. 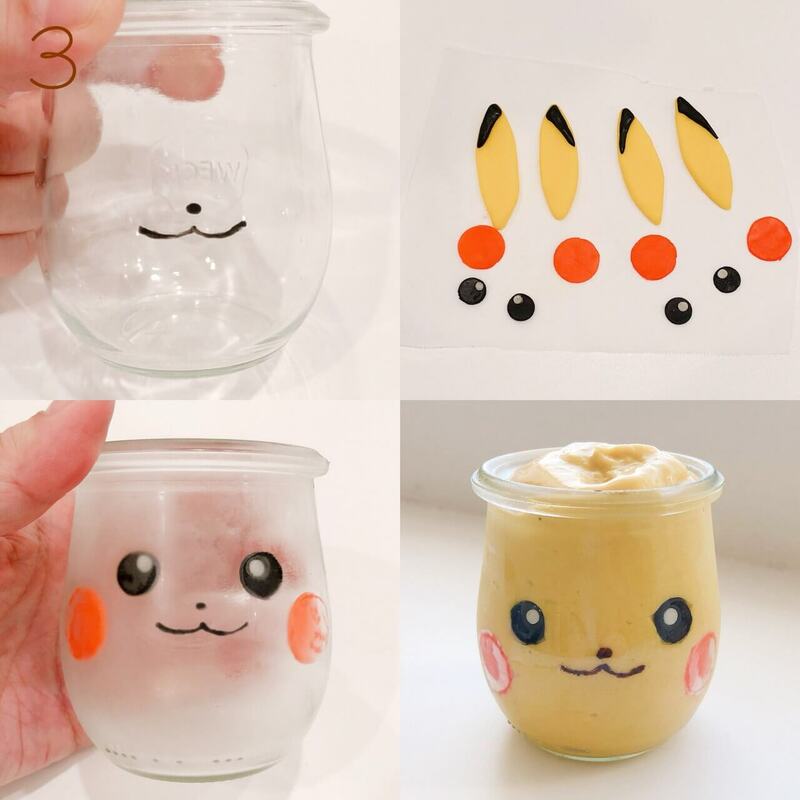 ☆After soaking the gelatin, heat gently in the microwave and melt completely. ①Draw a face on the glass with melted chocolate. ②Make ears, eyes and cheeks with coloured modelling chocolate. Make the ears by adding melted chocolate to the tips. ③Paste the parts in step ② on the inside of the glass. Affix well making sure not to let air in. Once attached, cool in the refrigerator until the parts have fully solidified. 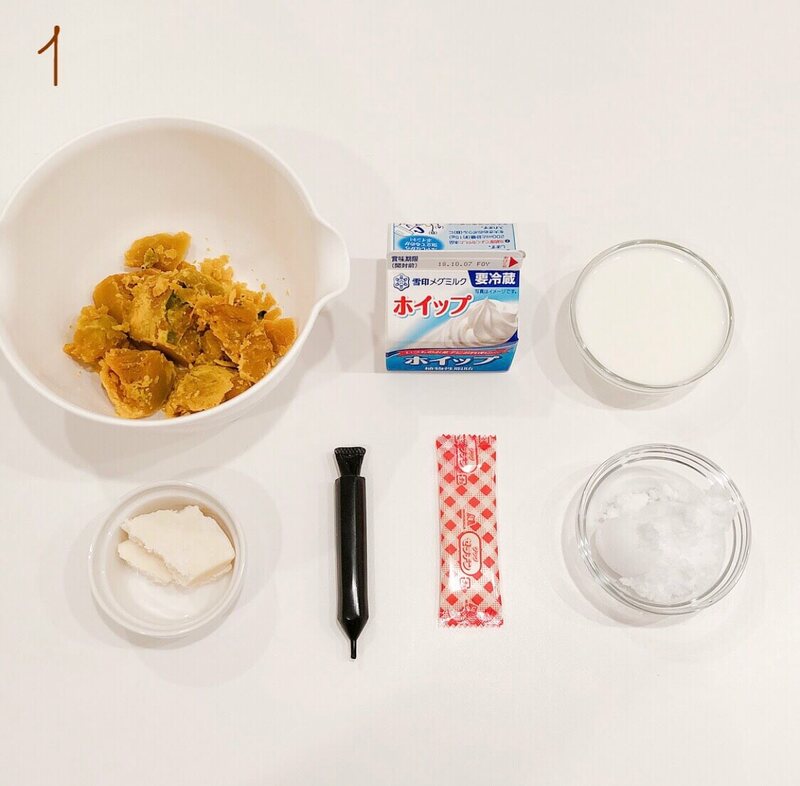 ④Once the parts in step ③ have cooled, pour in your pumpkin purin liquid from earlier. Place into the refrigerator. Once it has set, add fresh cream and the ears and you’re done!